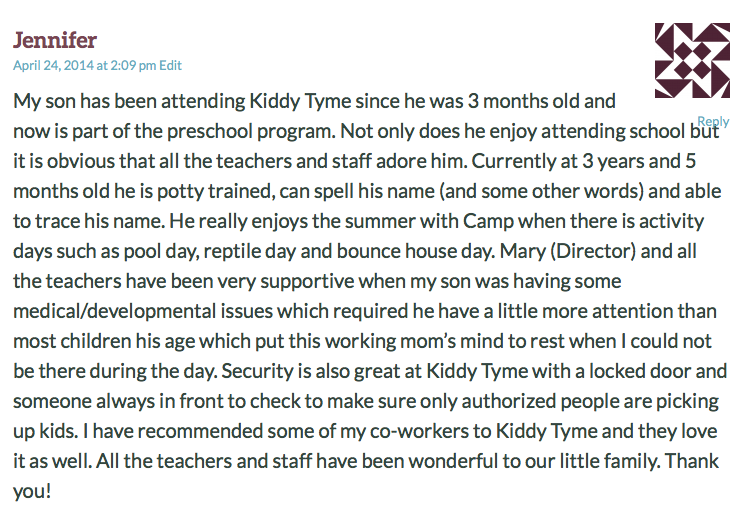 Sharing More Love from Mom on Our Kiddy Tyme Parents Page: Thank You!!! This entry was posted in Reminders, Student News and tagged awesomeness, comments, kiddy tyme parents, Kiddy Tyme Staff, kiddytymekids, mom, reviews, thank you. Bookmark the permalink.